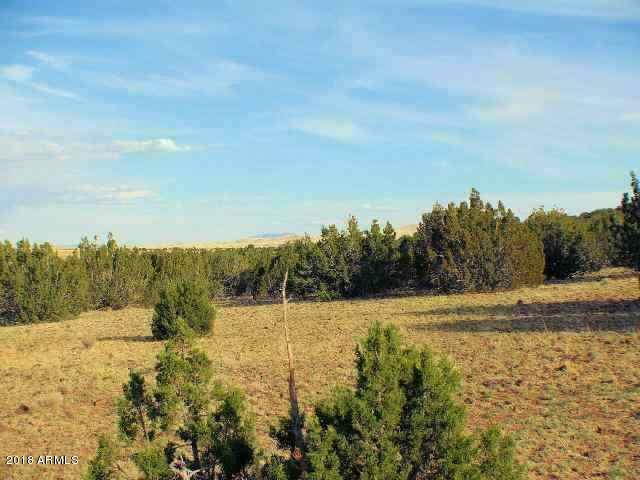 Located approximately 3/4 MI from the Sitgreaves National Forest, this 5-AC parcel has a lot of tree coverage & very good spots to place a Mfg home or build your own Site Built. Good growing soil in this area & lots of wildlife. Come enjoy the peace & quiet & where you can see the stars at night. Join the Jackson Hole Water Co-op or drill your own well into the Coconino Aquifer, which is the largest in our state & with an abundant water below. You'll have to provide your own power, but it is getting cheaper.